Just in time for Valentine’s Day, we have found an amazing, affordable Champagne!!! 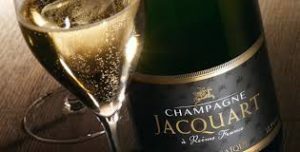 Founded in 1962 in Reims, Jacquart is a cooperative of 1,800 members…Jacquart is the original “grower champagne.” The early days were difficult but the small co-op had a big leader and before long growth and expansion took place. 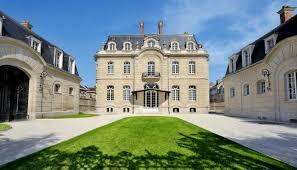 Jacquart’s ascendancy is a major success story in the history of modern Champagne. By the year 2000 the original 30 small grower’s had swelled to a hearty 700 and the company joined the powerful Alliance Group making Jacquart part of the largest land-owning grower’s co-op in the region, controlling 7% of the appellation’s total hectares. Jacquart’s sixty separate crus, all rate above 90 (the average is 96). The house style leans toward Chardonnay and emphasizes an intentional low dosage. This results in friendly wines that are fresh and balanced with firm structures and fine flavors. Champagne Jacquart has built its reputation on delivering value. Tasting Notes: Pale yellow with tints of white gold and a stream of fine bubbles. Aromas of fresh pear, fig and almond, with hints of orange blossom. A light swirl of the glass brings out richer notes of honey and freshly baked bread. Fresh and supple. Full, with a long fruity finish. Click Below to Sign Up for Our Newsletter. Join the Wine Revolution! Website maintained by Internet Liquid.